This summer, relive the thrill you experienced in your childhood by rewatching Steven Spielberg's 1975 thriller in its true element! You're lazily floating in the water at a beach when you spot a shark fin moving towards in full speed but you're too far out to swim back to the beach and to safety. There's music building up in the background and so is the fear in your gut. Most of us may not have been in this situation (unless you live in Australia) but the thrill of it is something that can get your adrenaline pumping! And that is exactly something a movie has classic and iconic as Jaws brilliantly captured. We all remember the first time we saw a shark on screen, the fear it induced and rush it gave us. Well, you can now experience the thrill of this timeless classic while floating in the open water! Thanks to Steven Spielberg's 1975 massive hit, sharks are still one of the reasons many shy away from swimming in the open sea. But it is also one of those iconic movies that find a top spot on the list of must-watch movies of all time for a reason. 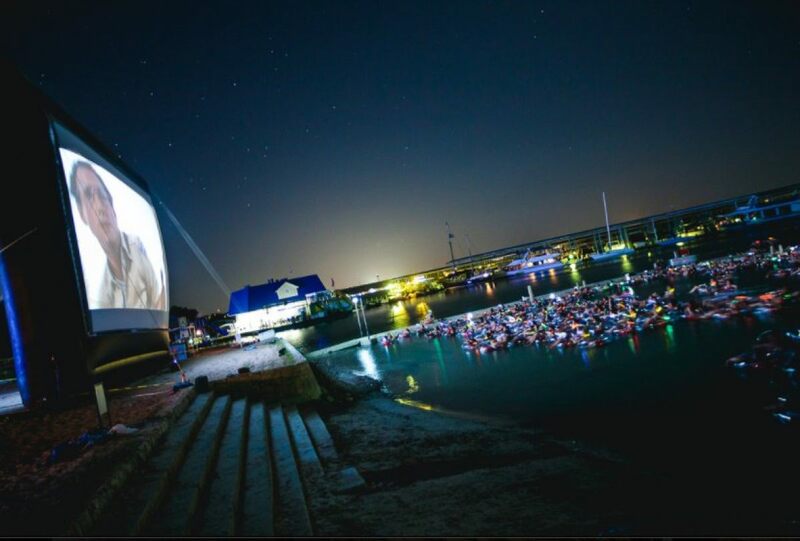 And if you want to relive that excitement more than 40 years after the movie hit the screens, The Volente Beach Resort and Beachside Billy's in Texas are screening Jaws on the waterfront. Yes, and all you have to do is find a comfortable pool float, gather your best company and book a spot! The screenings are on for every Saturday for the entire summer, starting June 8, 2019 to August 17, except for July 6 (no denying many would need that extra day to recover from the 4th of July celebrations) This is their fifth year in a row providing this scary experience so now you can add watch jaws on water to your bucket list. 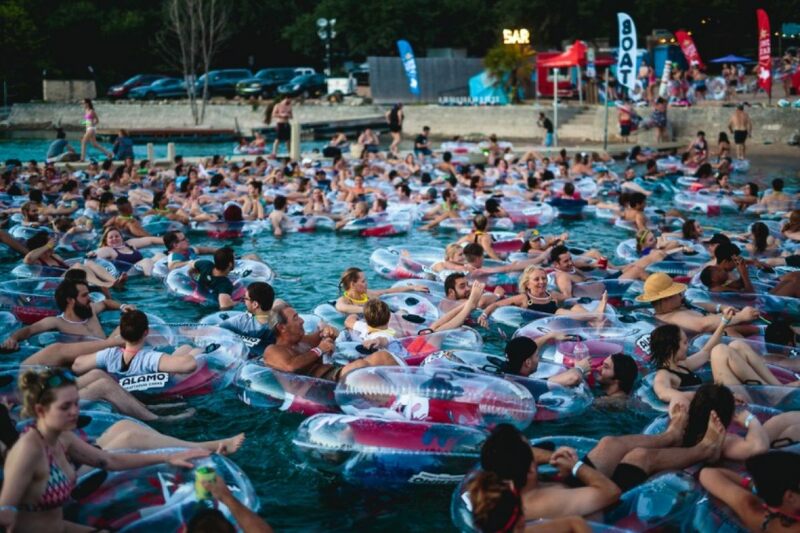 According to the official website of Lake Travis, viewers who book a spot to watch Jaws on the big screen in the open waters would also have access to the many attractions on Volente Beach like the Lazy Lagoon, The Sidewinder, water slides at the waterpark, keepsake shark-ified inner tube. You can also catch a breathtaking sight of the stunning fireworks display while enjoying "the thrilling, one-of-a-kind experience of watching cinema's greatest great whites with your feet dangling dangerously and deliciously in the water." It is a great way to escape for the summer and spend some quality time in your best company. Also, to familiarize your kids with one of the best films from your childhood. ET has to be a close second. Since Jaws, many films have been made on mega-size marine life like Anaconda, Deep Blue Sea, Lake Placid, and who can forget the sequels to Jaws. Those are scary enough to give you nightmares for days. 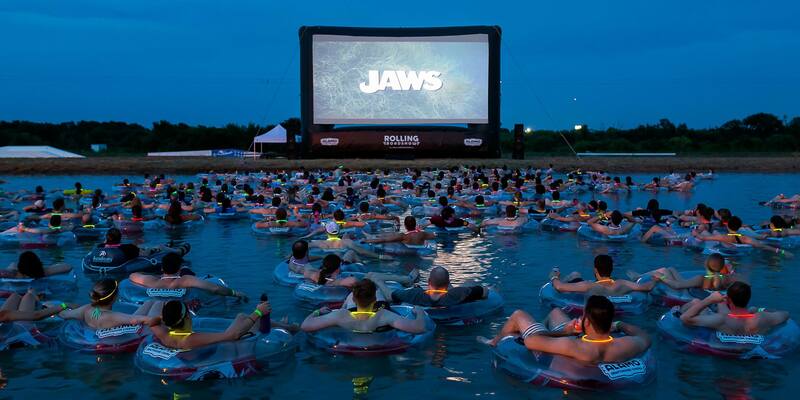 Watching Jaws on the water is going to be a thrilling experience but imagine watching Lake Palcid while floating in Lake Travis. Monster films were the hot favorite once but they just don't make them like that anymore. There are no gory chomp-fests on screen and definitely not about sharks. Sharks are friendly creatures now, you know that we mean if you have seen Finding Nemo or Shark Tale. However, Jaws was so successful back in the day that it is still considered one of the truly great American movies and sharks, one of the most terrifying sea creatures. Are you up for celebrating this timeless classic by rewatching it in its true element? Time to gather your pool floats, folks!